Our wonderful October Star Author is Lorraine Marwood. Lorraine was born and raised in the country, and lived for most of her married life on a dairy farm. She is an award-winning poet who often writes about country life, and she has also published several children’s novels and collections of poetry. 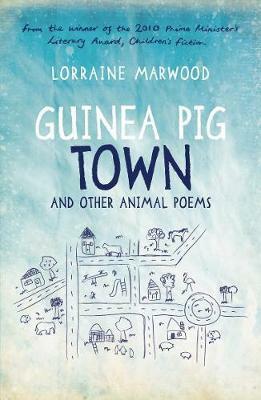 Her books include a verse novel called Starjumps, Ratwhiskers and Me, and collections of poetry, including Note on the Door, and Guinea Pig Town and Other Animal Poems. Thanks for joining us Lorraine! We look forward to hearing all about your writing and books. Hello Christchurch kids – thanks for inviting me to visit you. I hope you are keen readers and keen writers, because during the month of September, I’m going to write about both. Perhaps some of you have read my book The Truth About Verity Sparks? Or the sequel, which came out in May. It’s called Verity Sparks Lost and Found. I am due to start writing the next Verity book and so at the moment my mind is buzzing with all things Verity. I love Verity. I am very proud of her – she is brave, clever and very sensible. If I was going to give you my five top tips for writing stories, at the top of the list would be “Create a character you love”. Verity is such a real character to me that she’s almost like an actual person. So this week I’ll be thinking about the things that make Verity seem real to me – and hopefully, to my readers as well. Verity first came to me when I was walking around the streets of Melbourne, looking up at the tall, grand buildings built in the Victorian (named after the Queen, not the state!) era around a hundred and fifty years ago. They have carved decorations and big columns and huge doors and if you get a peek inside, often marble halls with more columns and more doors. They seem designed to make a person feel very small and insignificant. I imagined wealthy gentleman wearing suits and top hats strolling in and out…and I started wondering what it would have felt like, to have been little, poor and powerless in those days. And somehow Verity came into my head. When you’re creating a character, you have to give your character a setting. You have to be clear about where and when the action is happening. Verity’s story starts in 1878 in London, where she is employed as a milliner’s apprentice. You also have to create a backstory. Backstory means the character’s history; his or her past. You might not use it in the story, but you use it to help you understand your character. I made Verity an orphan. Unlike in real life, in fiction it’s always quite useful to have no parents! After her mother and father died, she went to live with her Uncle Bill and Aunt Sarah. They ran a used clothes stall in the East End of London, but it didn’t work out (mainly because her uncle was a cruel, drunken bully) so Verity was apprenticed to Madame Louisette, who owned a hat shop in a post part of town. As it turned out, Verity’s past is very much part of the plot of the story, but even if it wasn’t, working out your character’s backstory is a good idea. 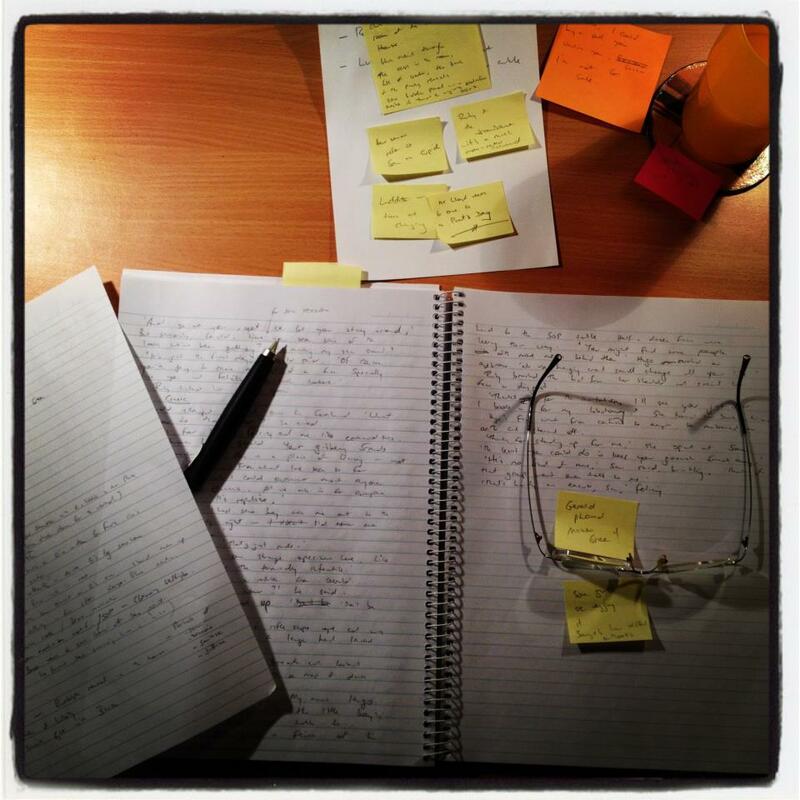 Some authors keep files on their characters, or write detailed biographies. I don’t go that far, but I think you should do whatever is helpful to make a good story. That’s all I’ve got time for today. Next post, I’ll write a bit more about creating characters – especially getting their voice right. Our super September Star Author is Australian author, Susan Green. Susan has written two books featuring the charismatic Verity Sparks, The Truth About Verity Sparks and Verity Sparks: Lost and Found. She always wanted to write and illustrate books, but gave away her art studies and teaching to concentrate on writing when she won a short story competition. The Truth About Verity Sparks was short-listed in the Book of the Year for Younger Readers category of the 2012 CBCA Awards. Thanks for joining us Susan! We’re looking forward to hearing all about your books and writing. There are two words which, when mentioned together, are guaranteed to get me frothing at the mouth in a barely controllable rage: ‘reluctant’ and ‘reader’. The term reluctant reader is tossed about by the unthinking and the well-meaning in equal measure. It’s usually aimed at boys of a certain age, and I find it completely and utterly repugnant. I’m probably over-reacting (I have a tendency towards ranting) but hear me out. I’ve seen it used as a pejorative: I suppose this book might be popular with the reluctant reader set. As if a book that kids actually want to pick up and read is somehow a bad thing. This sneering condescension is at the heart of a boorish them-and-us mindset from adults who ought to know better. You know the type: Tarquin and Jacinta devour books like starving geniuses, but Johnno (eye roll) well, I suppose not everyone can be a READER. First of all, bully for Tarquin and Jacinta — good for them. Second of all, geniuses or not, they warrant no more or less consideration in their learning than does Johnno. How dare anyone be consigned to the big bin labelled HOPELESS because they don’t happen to share your ideal of what constitutes a good book. Perhaps if snotty parent/teacher/librarian could put a clothes peg on their nose for long enough to consider for a second that maybe Johnno doesn’t read because he thinks The Famous Five is outdated tosh, and he would be more than happy to lose himself in a story if only someone would show him a good one. Which brings me to the subject of comic books. I read a colossal number of comic books when I was a kid. Cracked, Cor, The Beano, Peanuts, Donald Duck, Richie Rich, The Archies, Phantom, Commando, Twilight Zone … and the daddy of them all: Mad Magazine. 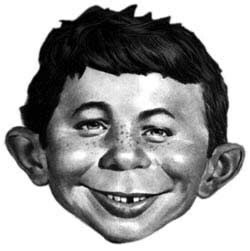 Under the careful tutelage of Alfred E. Neuman, I was introduced to literature and movies, to history and geography, to satire and word play. It piqued an interest in US history that continues to this day. Its soft scepticism and lack of reverence for authority probably nudged me towards my early career in journalism. When I was done reading textbooks or set novels, it was towards my stack of Mad Magazines that I gravitated. The owner of the local second hand bookstore would keep any fresh titles aside for me, knowing full well that I would buy them. For an inquisitive 11-year-old, they were my window to a mad world. 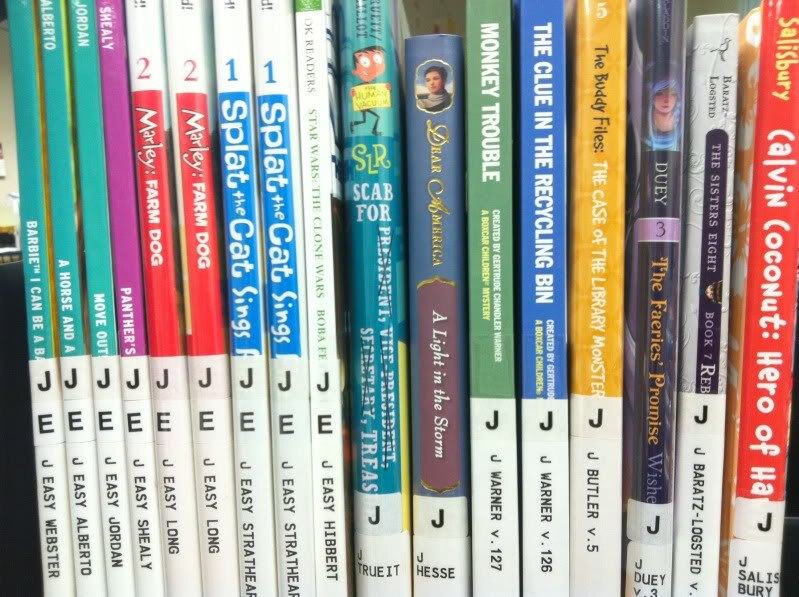 So rather than branding a kid as a reluctant reader, maybe they just need the right thing to read. There aren’t so many classic comics being published these days, but there has been an explosion in the field of graphic novels. If you’re worried your kid isn’t reading, I’d spread a bunch of graphic novels around the house like cockroach baits. Just like the real thing, they’ll start nibbling soon enough. You’ll be surprised where it can lead. How does one respond to such a question? A knee to the groin? A sharp slap across the cheek? A ninja star to the throat? I don’t buy the notion that books for children, particularly those aged nine to twelve — my target readership — are somehow inferior, or don’t meet the standards of a ‘book for adults’. What does that even mean? Are the characters somehow illegitimate because they’re too young to shave? Are the themes irrelevant because they don’t involve a mid-life crisis? Some of the wisest people I’ve met have been aged under twelve. Conversely, some of the dopiest people I’ve met have grey hair, wear suits and work in jobs that they hate. I write books for middle grade kids for the very reason that they don’t wear suits and spend their lives in pointless meetings. They have the luxury of youth and a lifetime of adventure ahead of them. I want to tap into that sense of, as the French say, joie de vivre. You know, before they go grey and feel the need to buy a red sports car. It’s all about life on the cusp. About transitions. About security in the present and uncertainty in the future. Middle grade is where friendships are first tested, and sometimes found wanting. It’s where the simple things are often the most important things. It’s where a broken arm isn’t a tragedy; it’s part of the adventure. It’s a time of wonder, of first freedoms, of staying up later than you’ve ever been allowed before. It’s about failing. And trying again. It’s the first glimpse through the window of life and knowing with every ounce of spirit in your bones that there’s something amazing on the other side. And you have this one special friend, ready to explore it all with you. Middle grade is life as a concentrate, distilled into its purest essence. And it is a privilege to write those stories. So how did I respond to my inquisitor, the one who asked if I was ever going to write a real book? I flung a copy of my latest edition at his head. It bounced off, producing a red welt and a satisfying yelp of pain. ‘That real enough for you?’ I asked. Writers are asked a lot of questions. Where do you get your ideas from? How do you corral your thoughts? What’s your favourite cheese? The one question I dread is: Why did you write this book? Especially when it’s asked in an accusing tone. As if I’d just kicked a puppy. It’s not so bad when the emphasis is on the this. When the emphasis is on the why — not so good. I usually respond with what I call the reverse mountaineer’s defence. When a mountain climber is asked Why did you climb that mountain, the traditional response is: Because it was there. When I’m asked Why did you write that book, I say: Because it wasn’t there. It’s all about the creation. The taking of an idea, nurturing it with love and attention, building it out like layers of papier mâché, until it is round and robust and intriguing, and finally, in what was once vacant space, there is a story. Hopefully, it will be a story that will take the reader on a journey that will leave them breathless, and exhilarated and challenged. A trek through the imagination that is entirely satisfying, but also has the reader hankering for more. 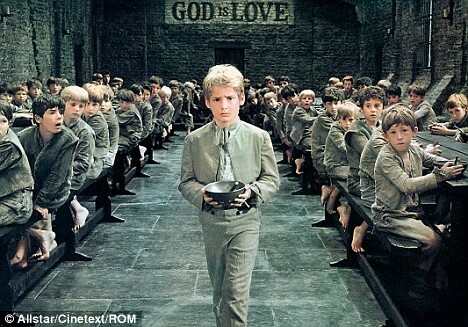 I want my readers to be little Oliver Twists, holding out their gruel bowls and making with the puppy eyes. It doesn’t always turn out that way of course. Not everyone is going to like what you create. I once asked a hall full of kids whether they thought one of my books would make a good movie. They all cheered, Yes! Except for their teacher, slumped in the back row, arms crossed over her chest, shaking her frowning head. There was no gruel bowl and puppy eyes from her. But you can’t take it to heart otherwise you’d never write anything. And while there are thousands of mountains to climb, there is an infinite number of empty spaces out there, just waiting to be filled with stories.